Is Spyro the Dragon about to make a fiery comeback? It sure seems like it. Last month Kotaku reported a Spyro the Dragon Trilogy remaster was in the works, and now we seemingly have some new evidence to back up those juicy purple dragon rumors. Twitter user JumpButton recently discovered a new account called @SpyrotheDragon. The account is currently locked, but appears to be registered to an official Activision email address. Also, of note, the name currently attached to the account is “Falcon McRob,” which could be meaningful as Activision has a voice over project in production codenamed Falcon. At this point, I would say a Spyro the Dragon Trilogy remaster is pretty much a lock, but every extra bit of confirmation is welcome. According to Kotaku’s report, the collection will include Spyro the Dragon, Spyro 2: Ripto’s Rage, and Spyro: Year of the Dragon and boast new assets, animation, lighting, cinematics, a redone soundtrack, and an updated save system. The project is being developed Vicarious Visions, the same folks who handled Crash Bandicoot N. Sane Trilogy. Expect the collection to be officially announced sometime this month, and released as a timed PS4 exclusive in late 2018. 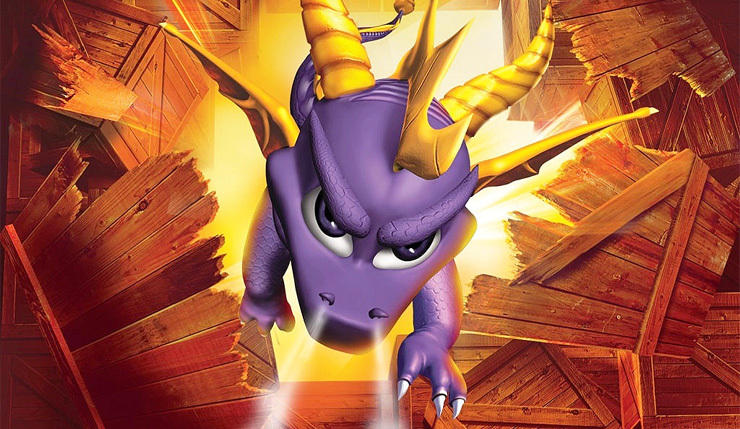 The Spyro the Dragon franchise was created by Ratchet & Clank studio Insomniac Games and originally published by Sony exclusively on PlayStation platforms. After the third game, Insomniac moved on to other things and publisher Vivendi Universal continued the series with several different developers. Years later, Vivendi Universal and Activision merged to form Activision Blizzard, which launched Skylanders: Spyro’s Adventure in 2011. Eventually, the Skylanders brand would supersede the Spyro name, with the purple dragon becoming little more than a supporting player in the series he spawned. Are you exciting for the Spyro’s return to the spotlight? What classic PlayStation platformer star would you like to see make a comeback next?